With 99 per cent of the State now in drought the NSW Government has announced further support with a $500 million Emergency Drought Relief Package, taking the NSW Liberals & Nationals total drought support to more than $1 billion. Premier Gladys Berejiklian said farmers are facing one of the driest winters on record, resulting in failing crops, drastic water shortages and a diminishing supply of fodder to sustain livestock. You think it will never happen to your business, until it does. How are you protecting everything you’ve built? The frequency and severity of natural disasters is increasing in Australia, meaning that there will be more floods, storms, bush fires and heat waves. They can have expensive consequences, and they could devastate your business within minutes. Following a disaster, it can take months to get back up and running. It’s not only the immediate damage from a fire or storm, but also the flow-on impacts, such as power outages and transport and communication interruptions that can affect your business. If your business was shut for a month or more, how would that impact you, your staff and their livelihoods? 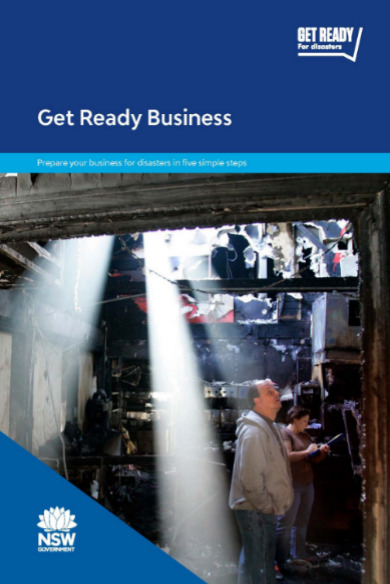 Preparing for disasters is as important to successful business outcomes as making an annual business plan. Taking steps now to prepare against disaster is smart business. It can mean the difference between re-opening two days or two months after an event, or not at all. The ANZ Bank has announced it would reduce interest rates for variable business lending by 1.00%pa for farmers in drought-declared areas, as well as setting aside $130 million for low interest loans to support farmers through the next season. This is aimed at providing immediate cash flow relief and helping farmers prepare for next season. The ANZ Bank understand many local farmers are being significantly impacted by drought and they're committed to supporting their customers and Australian agriculture at this difficult time. The ANZ are encouraging customers impacted to contact their Agribusiness Manager or the dedicated hardship team on 1800 351 548 or www.anz.com/hardship. Further information on the NSW Drought Assistance Relief Fund will be added to this page when new information comes to hand.